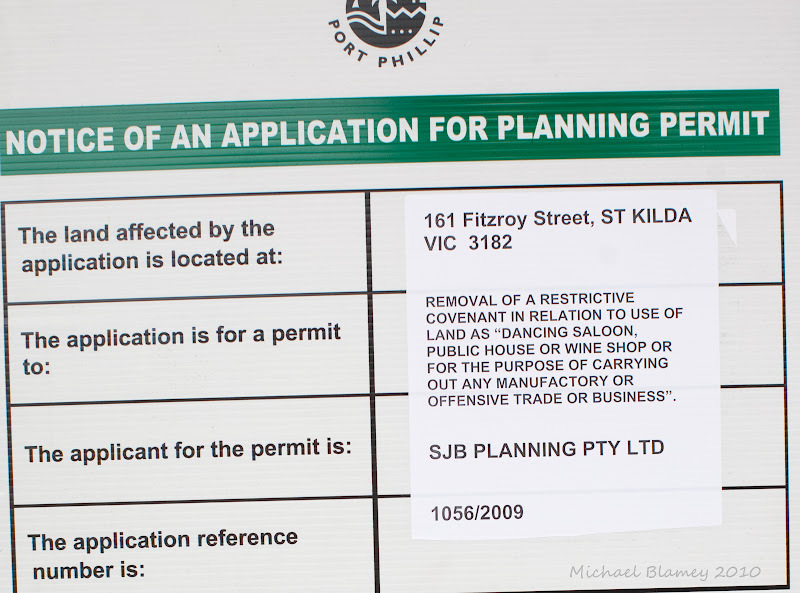 St Kilda Today: Are we looking at the possibility of a "Dancing Saloon" on Fitzroy Street? Are we looking at the possibility of a "Dancing Saloon" on Fitzroy Street? I take it, you are now allowed to carry out any manufactory or offensive trade or business? isn't the public service great? I hope it has swinging doors.